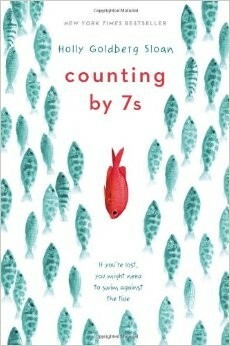 In the book Counting By 7's by: Holly Goldberg Sloan a young girl named Willow Chance faces a terrible accident involving her parents death. Through the story you follow Willow and the hardships of being an orphan. Now Willow is obsessed with medical disease and nature for that's all she ever talks about. Later on in the story maybe like 40 pages or so in Willow meets a girl named Mei, and she turns her world around by helping her through everything and hanging out in her mom's nail salon. In my opinion Sloan does a great job by describing everything in detail throughout he book. Read to find out what happens all in the end.